Made by Bushnell, a trusted brand when it comes to golf distance measuring devices, the Tour V4 JOLT is a great choice for amateur and pro golfers alike. The V4 is the replacement to the wildly popular Bushnell Tour V3. When making the V3, Bushnell broke convention. Rather than cramming the device with a host of unnecessary features, they focused on ease of use. This does not mean that the V4 is not feature rich. It has an impressive set of features and specifications which cover all your needs on the course. Like Bushnell says, the Tour V4 JOLT is the perfect combination of size, speed, accuracy and JOLT. Let’s take a more detailed look into the V4. The first thing you notice after pulling the V4 from the included case is its small size. 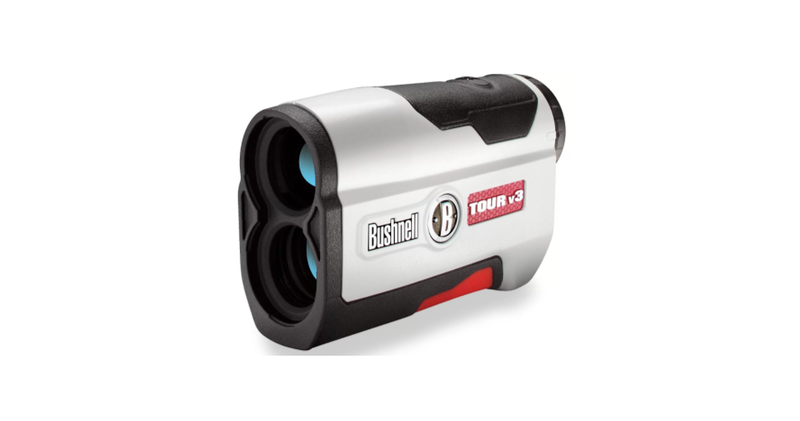 According to Bushnell, the V4 is 30% smaller than its elder brother, the Tour V3. Due to its small size, it comfortably fits in the hand and in the pocket. Not only is it smaller in size, it is also lighter than the previous version, with a weight of less than 6 ounces. Its compact size and light weight make it perfect for golfers who want to carry the lightest bag possible. The V4 has a new ergonomic design that makes it easy and comfortable to use. It is shaped in such a way that it fits naturally in the hand. A small notch has been fitted along the bottom of the device for players to rest their thumb. Just like the V3, the top and bottom areas of the V4 are textured to ensure a better grip. It also has one button on the top which controls everything, from firing the laser to switching between different modes. It also has a focus ring for adjusting the focus. The eyepiece is designed such that it can be easily adjusted to fit your eye. The V4 has a protective silicone cover and just like with previous models, it comes with a premium looking hard case that easily clips to the bag. The 3 volt CR2 battery pack is enclosed with a posi-thread battery door, so you don’t have to worry about losing it. The most unique feature on the V4 is what Bushnell has dubbed JOLT technology. When using most laser rangefinders, it can be a bit challenging to know when the device has properly picked up the intended target. This creates a guess and check situation, where the player has to shoot the target multiple times to ensure that the yardage remains consistent. JOLT technology gets rid of this guess and check. When using Bushnell’s Pinseeker with JOLT Technology, the device provides a slight vibration or jolt when it has properly locked onto the flag. This way, there is no doubt that you are getting an accurate yardage to the correct target. 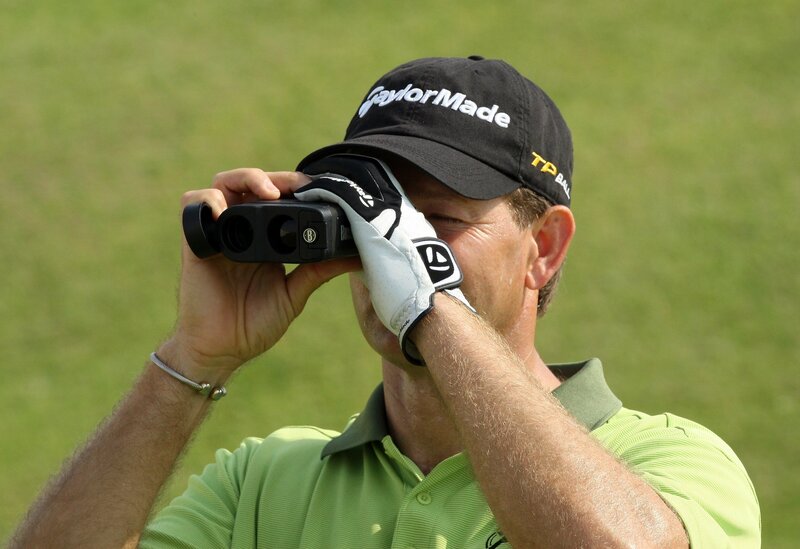 Apart from measuring distance, laser rangefinders serve another important function on the golf course. They give the player a clear view of the target. To this end, the Tour V4 comes with 5x magnification, which gives a much closer view, ensuring that the golfer has a clear view of the flagstick. Bushnell has also improved the focus mechanism to help maintain a clear image. While one had to rotate the eye piece to adjust the focus on previous models, the V4 features has a single slide focus ring above the eyepiece, which can be operated using the index finger. This makes it easier and faster to adjust the focus using one finger as you shoot you targets. The V4 has a range of 5-1000 yards and can scan the area within 400 yards to the flag. It provides the measurements with a plus or minus 1 yard accuracy. The V4 is also water resistant, so you can use it in light rain without worrying about damaging it. Like most other models in the Tour series, the V4 comes in two editions: Slope and Non-Slope. The slope edition can be easily distinguished since it has a red trim at the front. Slope mode takes into consideration any change in elevation between the player’s current position and the position of the pin and then gives an adjusted yardage. This is important to many players since it helps with club selection. Having slope mode can raise the question of legality in tournaments. Well, after the change in rule 14-3 regarding artificial devices, players can use slope lasers as long as the slope function is turned off. Therefore, it is more advisable to buy the Slope edition. The compact size, minimal weight and ergonomic design make it comfortable to use. The ‘Stabi-Grip’ technology makes it suitable for single-handed use. The JOLT feature is quite reassuring. Though it’s not a game changer, it definitely increases confidence. The 5-1000 yard range is excellent. It is much faster compared to previous Bushnell models, as well as models from other brands. The 3 volt cr2 battery allows you to play several rounds without the needs for a recharge. It comes with Bushnell’s industry-leading 2 year warranty. While the 5x magnification is acceptable, there are models with 6-7x magnification. Some newer models have ½ yard accuracy compared to 1 yard accuracy on the V4. Switching between different modes and functions can be challenging for a beginner. The small size and light weight might make holding it steady a bit difficult. 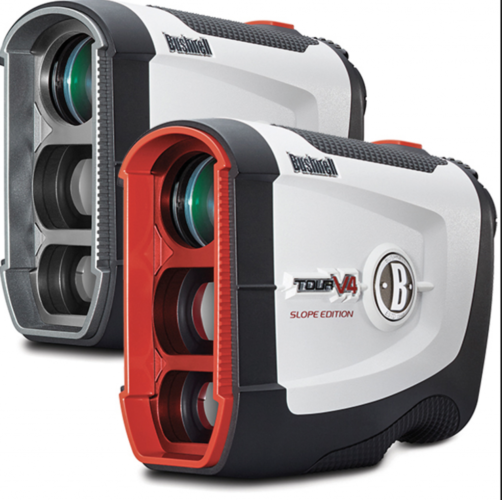 With the Tour V4, Bushnell didn’t try to reinvent the wheel. Instead, they made a smaller, lighter and faster product while still maintaining the great features, all infused in a fresh ergonomic design that is comfortable to use. 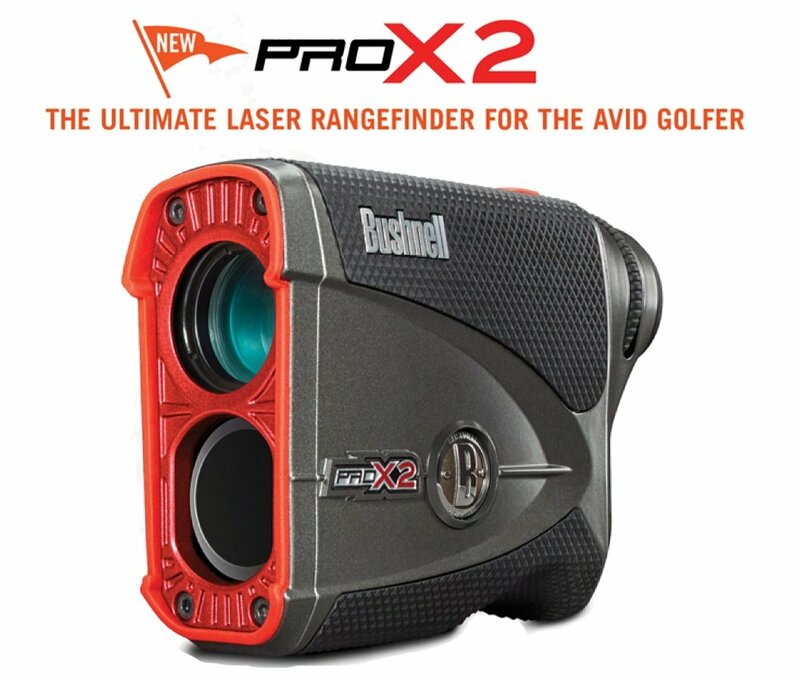 While the price of the V4 might be leaning towards the upper end, it is among the best laser rangefinders for the average amateur golfer. If price is not a factor, you can go with the slope edition, since the change in rules means it is also tournament legal.